IT Service Management is a strategic approach for designing, delivering, managing, and improving the way information technology (IT) is used within an organization. The goal of IT Service Management is to ensure that the right processes, people, and technology are in place so that the organization can meet its business goals. At Evolving Solutions, we recognize the importance of ITSM in a robust IT environment. We also understand the challenges of maintaining flexibility and agility while still delivering stability and reliability. 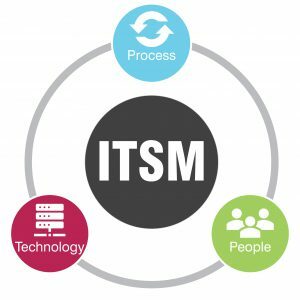 We partner with ITSM specialists to ensure we take your unique needs into consideration when integrating with ITSM systems and processes. Download Gartner’s IT Service Management Tools report. In this report, Gartner examines and 13 IT Service Management (ITSM) tools.